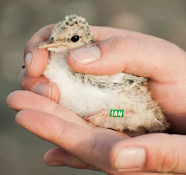 Kilcoole Little Tern Conservation Project: A new season starts and farewell to our great leader! A new season starts and farewell to our great leader! The 2014 Kilcoole Little Tern Conservation Project has well and truly started. The wardens are on site, the fences are up and we are eagerly waiting for the first Terns to nest. The signs are good with flocks of well over 100 Little Terns roosting on the beach at night (max count 141). Ringed Plovers (6 nests) and Oystercatchers (2 nests) have started nesting within the colony and we expect the Terns to join the party any day now. We would like to take this opportunity, before the season really kicks off, to thank Niall Keogh for his substantial contribution to the project over the years. It was a strange feeling deleting Niall’s profile off the blog and moving into ‘his’ caravan! Niall started volunteering in Kilcoole as a teenager and has been a full time warden in Kilcoole for the last 4 years. 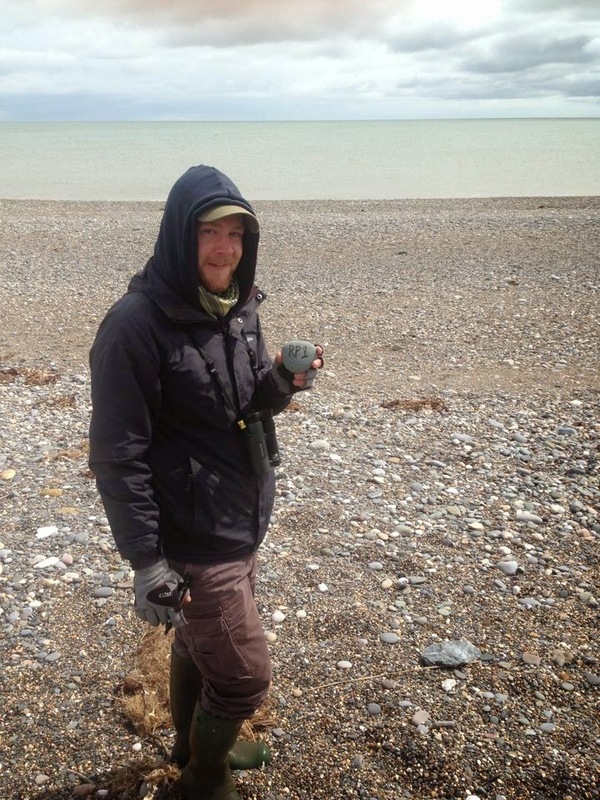 His presence on the beach was almost as reliable as the Terns themselves, so much so that a day rarely goes by without a member of the public asking where Niall has disappeared to! Both Darren and I would not be working on this project if it were not for Niall. I was first introduced to him in 2010 and quickly became a volunteer and a good friend. I joined him in Kilcoole as a full time warden on the project last year. Niall first met Darren last summer in somewhat more unusual circumstances during the Bioblitz in Glendalough. Darren slipped on the boardwalk and Niall helped Darren stem the bleeding on his knee (a wound which ended up requiring six stitches)! Next thing Darren knew he was volunteering in Kilcoole and shortly after became a full time Little Tern Warden in Baltray. Niall is spending his summer in Scotland (where he very much enjoys the food, drink and birds) and on the R.V. Celtic Voyager surveying seabirds and cetaceans. Niall recently saw a Bermuda Petrel, the first ever sighting in Europe, way off the Kerry Coast so he is just about managing to cope without the Little Terns this year. He has assured us that he will be volunteering here on his days off. In fact Niall has already spent several days down here volunteering already and fittingly he found the first nest of the year while I was asleep. Luckily we saved face and found a couple more after he left! Niall has even generously donated a spare tripod to the project this year. His good deeds go on…. So on behalf of the project team we thank Niall for all his hard work, help and commitment to the project! Some nasty weather and the first nest!